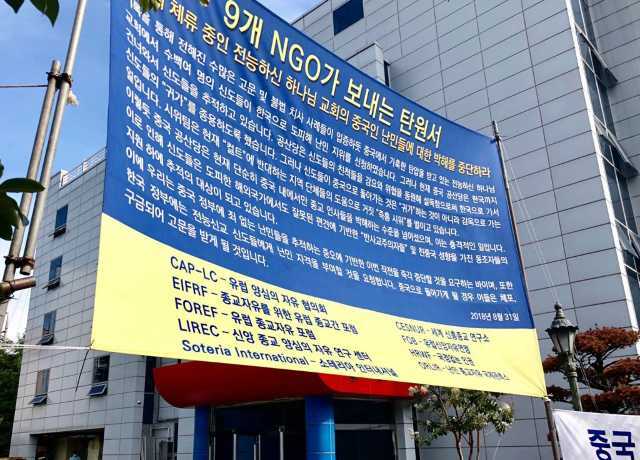 Following the directives of a confidential document, excerpts of which we publish below, a massive campaign of fake news is launched in South Korea to persuade the local authorities to deport the refugees of The Church of Almighty God back to China. Bitter Winter reports often about the persecution in China of The Church of Almighty God (CAG), a Chinese Christian new religious movement, which appears to be now the main target of the regime’s repressive campaign against xie jiao (“heterodox teachings”). As a result of this persecution, several thousand CAG members escaped abroad, and are seeking asylum in various countries. China did not follow the wise age-old motto of the ancient Roman general Scipio Africanus, who suggested to prepare “golden bridges” for enemies escaping abroad, and leave them alone in their self-chosen exile, but instead kept harassing them in the countries where they live as refugees. These bullying tactics have been repeatedly denounced by respected NGOs, including at the United Nations, and certainly, do not improve the already abysmal reputation China has internationally for its handling of political and religious dissidents. As confidential documents published by Bitter Winter prove, the Chinese Communist Party (CCP) is trying to crash the CAG between the rock of persecution and the hard place of propaganda and fake news, both in China and internationally. CCP’s campaign of fake news also extends to South Korea. It is not the first time this happens. In May 2016, the wife (surnamed Tian) of Zhang Fu, a CAG devotee, arrived in South Korea together with CCP agents. They took Zhang Fu to a hotel and stole his passport and mobile phone while he was sleeping. They tried to abduct Zhang Fu and forcibly take him back to China, but Zhang finally managed to escape at the airport. In August 2016 and November 2017, respectively, Tian arrived in South Korea, and together with Wu, the representative of a local pro-CCP magazine, organized demonstrations against the CAG and contacted the media to discredit the CAG and force Zhang Fu to return to China. In early April 2017, the wife of Xie Wenquan, another CAG member who had fled overseas, was arrested in China and detained for one month. Her home was continuously monitored following her release. 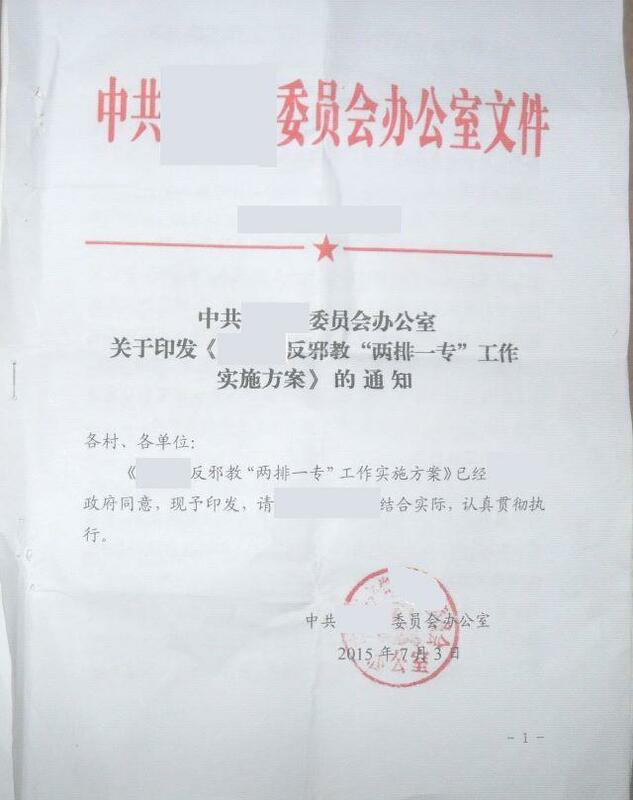 On May 15, 2017, the Heilongjiang Provincial Public Security Department political commissar (surnamed Guo) visited Xie’s wife and demanded that she go to the CAG community in South Korea and “follow his instructions.” One day later, she was forcibly taken to the Exit and Entry Administration Center of the Municipal Public Security Bureau to obtain a passport. Around May 20, Xie’s wife refused Guo’s demands, claiming that she was suffering from a serious heart disease. Later, she fled her home together with her parents. On November 8, 2017, Wu brought the relatives of five CAG members to South Korea and held demonstrations outside the entrances of Jeju Island Court, Seoul Immigration Office, and the CAG’s own premises. The family members were required to hold a banner reading “My relative is not a refugee,” and request that the court dismiss the refugees’ appeal applications. At this time, one of the Chinese brought to Korea realized that something was wrong. and sought the cooperation of Korean authorities to meet with his relative. He discovered that the relative had not been “kidnapped and abused by The Church of Almighty God,” as it had been falsely claimed by the CCP. On the contrary, the relative was finally enjoying the freedom of belief in South Korea and would be very happy to be allowed to remain there. We learned that a new campaign against CAG refugees in South Korea is now on its way. 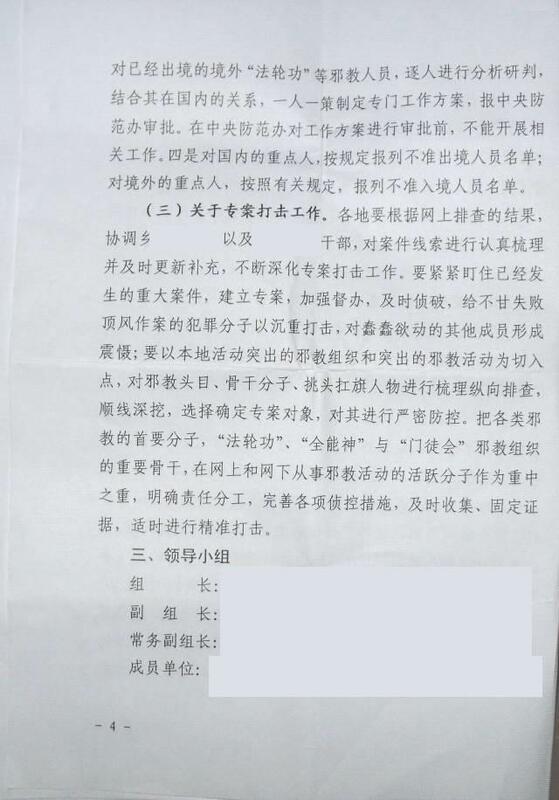 The Chinese Ministry of State Security recently hired unemployed idlers who, along with local police and government workers, went to Hebei, Hunan, and other parts of China to harass the relatives of many CAG members who are currently in South Korea. 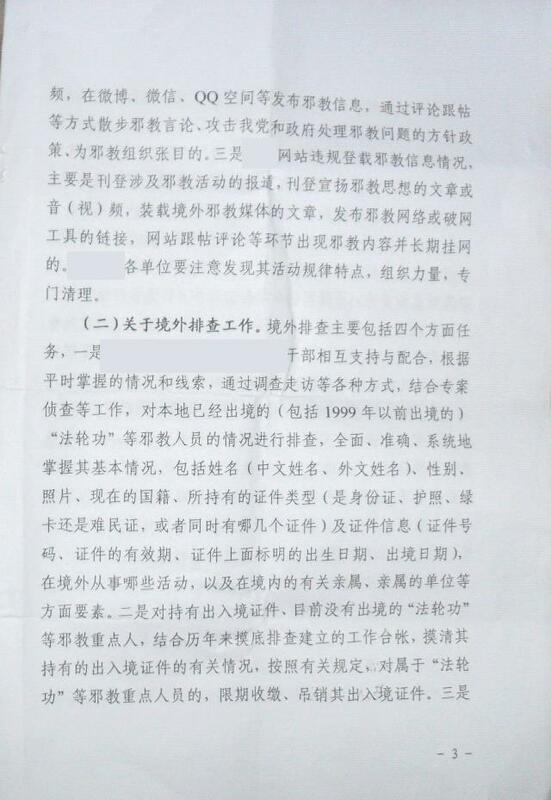 Some of these relatives were coerced into cooperating with the CCP to film videos and write joint letters “seeking missing family members.” Nobody would believe in China that these letters and videos are spontaneous and genuine, but they are used in South Korea to try to persuade the authorities to deport the CAG asylum seekers back to China. In late July 2018, a man claiming to be a “volunteer,” accompanied by the chief of a local national security brigade and the village secretary, arrived in Tangshan City, Hebei, to visit the parents of a CAG member who had fled overseas. It was the second time that this man visited the family. The purpose of the visit was to persuade the couple to record a video asking their son to come back to China. Since the parents knew very well that, should he return to China, their son would be arrested and detained as a CAG member, they refused. The man, who introduced himself as a “volunteer,” was formerly unemployed but has now been appointed as an “auxiliary officer” to work with the police station in Tangshan City. The man told the couple that the government wants the CAG asylum seekers back in China from South Korea and has “persuaded” several relatives of them to sign a letter requesting the Chinese authorities to help them bring their “children” home. Again, the purpose of this letter is to be used with the South Korean government and media in an effort to have the asylum seekers deported back to China. 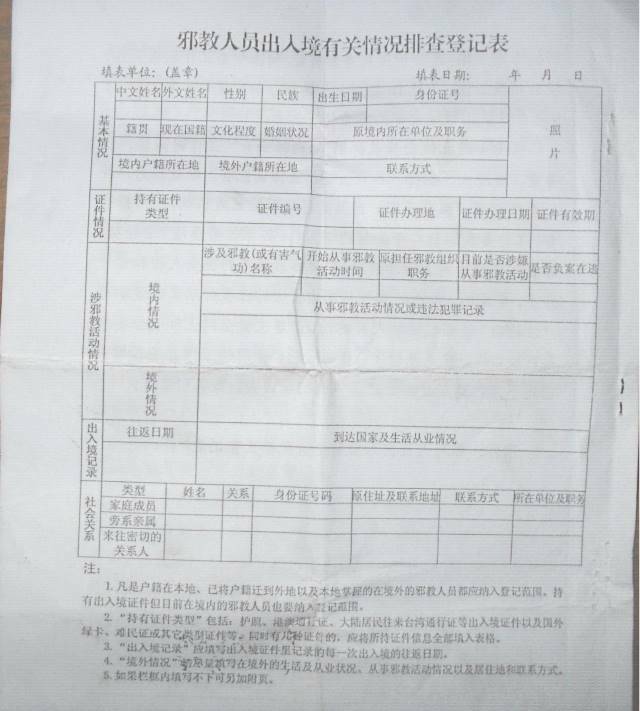 An internal CCP anti-xie-jiao document dated July 3, 2015, which we now publish, explicitly required officials throughout China to investigate members of both Falun Gong and the CAG who had left the country, obtain a comprehensive grasp of their basic situation (including the activities they are engaged in overseas, who their relatives in China are and what they do, and so on), conduct an analysis on a person-by-person basis, and formulate a special work plan for each person. Obviously, this plan is now implemented in South Korea, taking advantage of a political situation generally unfavorable to refugees in that country.